Once upon a time, dentures were worn solely to improve the appearance of a toothless smile. While they were made to be durable and attractive, functionality was of little concern, and they were often removed before eating. 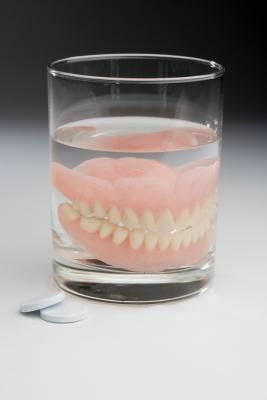 Today, however, dentures are both attractive and functional; but does that mean they’re a good tooth replacement option? Even today, dentures pose a number of challenges to the wearer. The most common problem is an unstable fit, which is due to the inevitable decline of the jawbone’s foundation. We say inevitable because, without the stimulation of tooth roots in the jawbone, bone loss occurs. And once the process of bone loss begins, it doesn’t stop. In fact, it only speeds up with the continued pressure of the dentures on the gum line. For those who sleep in their dentures, the rate of bone loss is even more rapid, as the jawbone never gets any relief from the pressure. An “aged” appearance is another common challenge faced by denture wearers. As bone loss becomes more severe, the facial muscles detach from the shrinking jawbone and the face takes on a collapsed look. Unfortunately for denture wearers, this gives their face an aged appearance far beyond their actual years. Another problem denture wearers face is difficulty eating healthy foods. This, of course, leads to an entirely different set of problems. As dentures become loose, they rub against the jawline and become extremely uncomfortable for the wearer, forcing them to go on a soft foods diet. Unfortunately, foods that dissolve easily in the mouth lack the protein, fiber and nutrients needed to sustain a healthy body. If a denture wearer DID eat solids, they wouldn’t be able to chew their food sufficiently, which would result in gastrointestinal problems. Individuals with gastrointestinal problems tend to be on a number of medications, which cause a whole new set of dental problems. One of the most difficult challenges for many denture wearers though has less to do with function and practicality, and more to do with how one feels about oneself. In our society, food is often the centerpiece for social occasions, and being socially active is an important part of our overall well-being. For denture wearers, eating and even speaking are difficult activities, and can even become embarrassing if they’re not careful. Because of this, many denture wearers find themselves declining invitations to social events, no matter how much fun they would have had otherwise. No matter how many advancements dentures have undergone or will continue to undergo, they never have been and never will be a suitable substitute for teeth, as no amount of denture glue or readjustments can keep them from speeding up bone loss. So what is a healthy alternative? Dental implants provide a sturdy, dependable and long-lasting tooth replacement option. Implants act as an artificial tooth root, and they actually fuse to the jawbone in a process called osseointegration, effectively halting bone loss and restoring complete function to the mouth. Yes, dental implants cost a little more than dentures, but considering all of the long-term problems that dentures create, the one-time cost of dental implants makes them a far better value than their unhealthy counterparts. Also, when you think about what you’re getting in return – the ability to eat comfortably, laugh confidently and live without fear of embarrassment – the value becomes priceless. If you’re in need of new teeth and want to discuss your options, contact us at 402.331.2070 or at http://www.paragondentalinc.com/contact/ to schedule an initial consultation with us today.